Villarreal CF has reached an agreement with Luis García Plaza that will see the 46-year-old become manager of the Yellows first team until the end of the season. 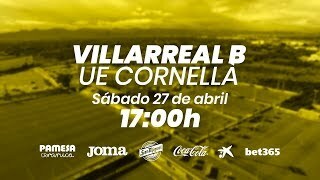 The coach will return to the club for the second time, after spending the 2005/06 season in charge of Villarreal B, joins the Yellows, alongside his coaching staff Pedro Rostoll (assistant manager), Eduardo Domínguez (fitness coach) and Raúl Gallego (analyst). García Plaza will get down to work immediately, taking his first training session this afternoon, at 6pm CET at the Villarreal CF Training Ground (Ciudad Deportiva). After meeting his players for the first time, the new manager will be presented in the press room at the Training Ground (7:30pm CET). García Plaza (Madrid, 1st December 1972), will spend his second spell with Villarreal, after managing Villarreal B in the 2005/06 season, when the Yellows Reserves, who were then in Tercera División, had a fantastic campaign, getting 100 points and winning the league, nearly achieving promotion to Segunda B. That campaign saw him take charge of current Yellow Submarine captain Bruno Soriano, as well as delegate and ex-first team player Xisco Nadal. Since then, the manager has carried out a great job at a number of clubs, such as Levante UD and Getafe CF, as well as his most recent club, Beijing Renhe in China. Throughout his career, García Plaza has also managed Elche CF, Benidorm CD and Baniyas SC in UAE. 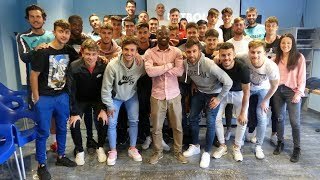 As a professional footballer, he represented Atlético Madrid B, Yeclano CF, Rayo Vallecano B, Talavera CF and Benidorm CD.